"Carrie&apos;s favorite possession was a giant Prozac pill that she bought many years ago. A big pill," Todd told Entertainment Tonight. "She loved it, and it was in her house, and Billie and I felt it was where she&apos;d want to be. We couldn&apos;t find anything appropriate. Carrie would like that," he added. "It was her favorite thing, and so that&apos;s how you do it. And so they&apos;re together, and they will be together here and in heaven, and we&apos;re OK with that." "Today it focused a little bit more on Debbie, yesterday focused on Carrie," Lee said. "The two girls are being laid away in a beautiful crypt … mother and daughter forever." 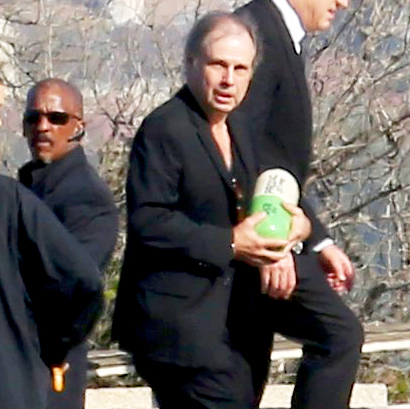 Reynolds’ funeral comes after a bevy of her daughter’s A-list friends gathered to celebrate Fisher’s life at a memorial held at her Beverly Hills home on Thursday, January 5. As previously reported, among those 125 close family and friends in attendance were Penny Marshall, Meg Ryan, Richard Dreyfuss, Buck Henry, Candice Bergen, George Lucas and Gwyneth Paltrow. Eulogies were also delivered by Lourd, as well as Meryl Streep, Tracey Ullman, author Bruce Wagner and comedian Stephen Fry. Streep, who starred in the 1990 film adaptation of Fisher’s semi-autobiographical novel Postcards From the Edge, also sang Fisher&apos;s favorite song, "Happy Days Are Here Again," in her honor. 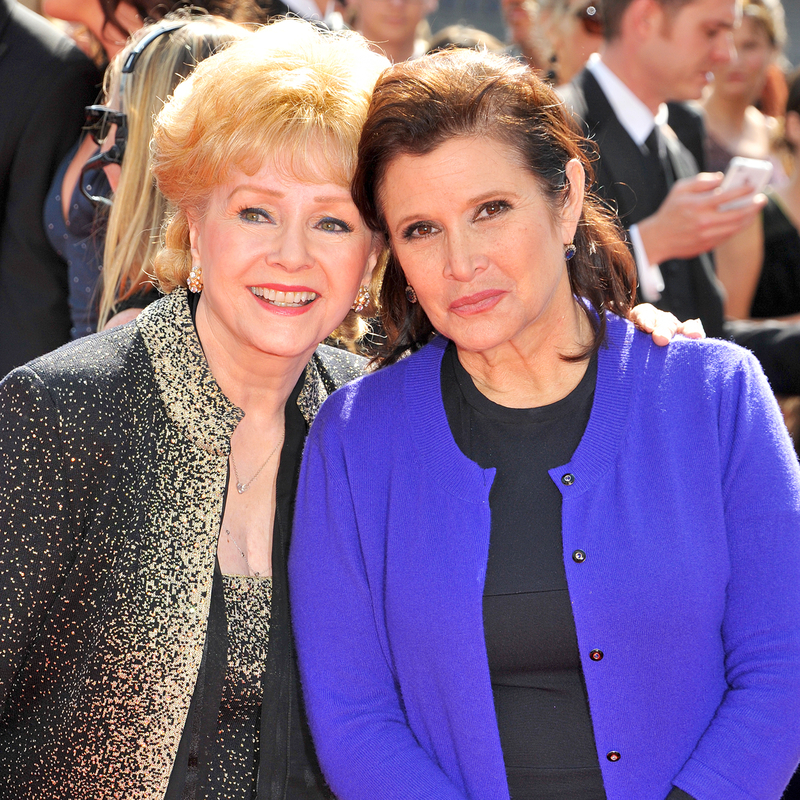 ET reports that a public memorial for both Hollywood icons is being scheduled for later this month. The Singin’ in the Rain actress passed away at the age of 84 after reportedly suffering a stroke Wednesday, December 28, just one day after Fisher died, at the age of 60, on Tuesday, December 27. The When Harry Met Sally actress passed away days after suffering a medical emergency while aboard a flight from London to LAX.